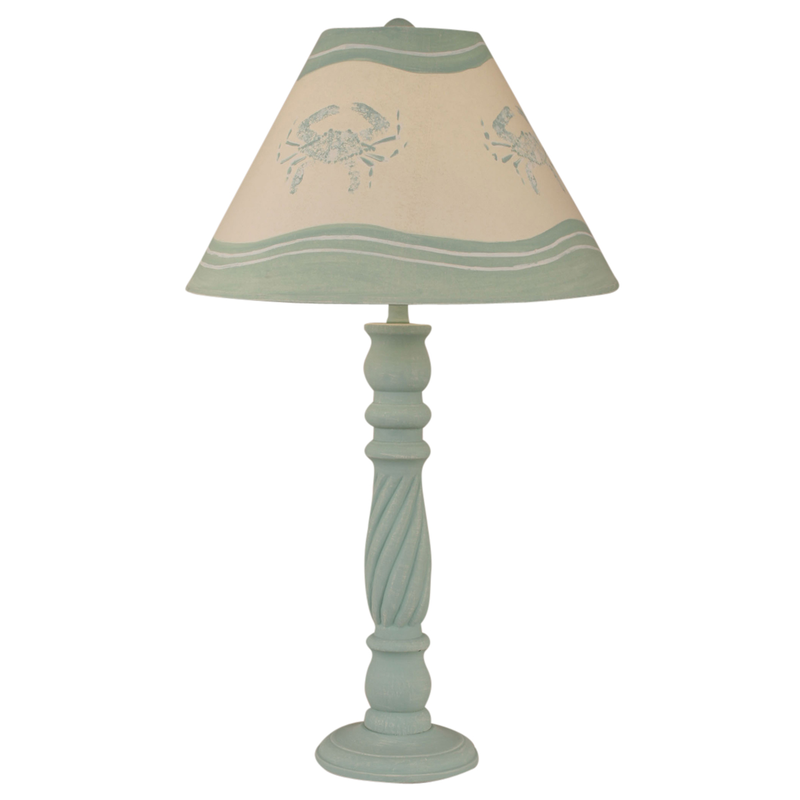 Shed light on your gatherings with the Shaded Cove Swirl Table Lamp with Crab Shade. These beach table lamps are crafted with a pedestal base with a swirled center detail and hand-painted crabs and waves on the shade for lovely oceanfront flair. Ships from the manufacturer. Allow 1 to 2 weeks. Cannot express ship. For further items, we ask you to take a moment to browse our thorough selection of beach table lamps at Bella Coastal Decor today.